KType is a reference number which allows to identify one precise vehicle version, for example KType 27206 refers to : Alfa Romeo 156, platform 932, version 1.9 JTD, assembled between 2003/11 to 2005/09, engine 1910 ccm, 93 KW, 126 PS. For more informations on auto parts compatibility, we strongly recommend you to read the article on auto parts compatibility on eBay Seller Center. 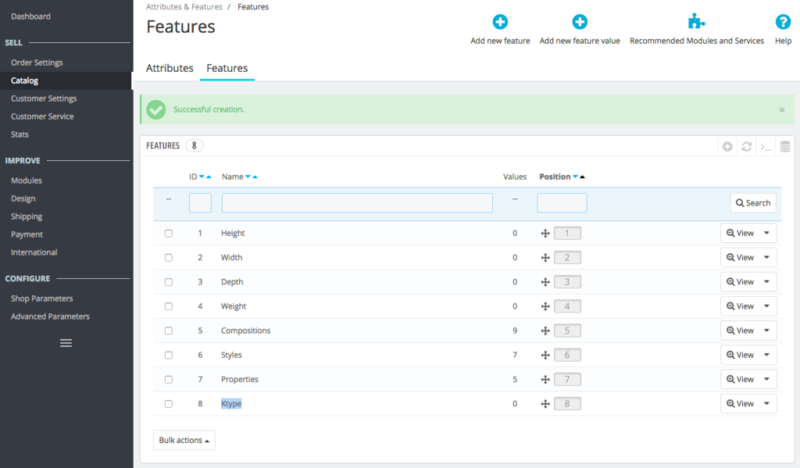 2 – Where to find KTypes, and how to complete PrestaShop catalog ? KType list is produced & maintained by TechAlliance company, which sells various compatibility databases. eBay distributes for free KType list in the Master Vehicle List “MVL”. Seller will need to enter KType on each PrestaShop product, manually, or using one of the various import tool available on the market. 3 – How to configure eBay Marketplace module to send KType from PrestaShop to eBay ? 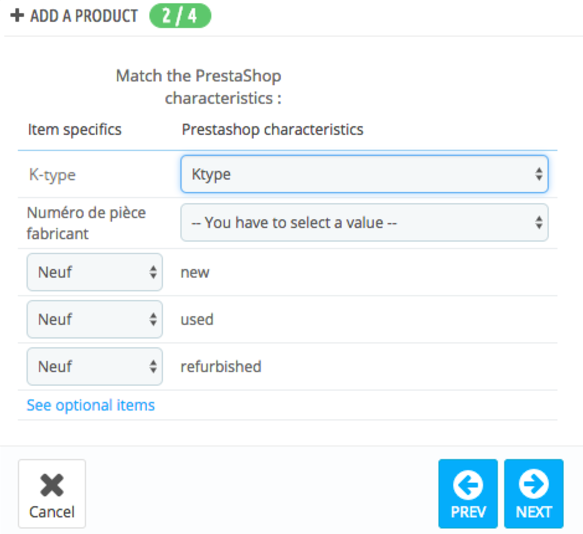 1/ In Prestashop, add a feature named “Ktype”. 2 / Create / edit a Prestashop product and add the Ktype feature. Associate Item Specific named “K-type” with PrestaShop characteristic you have fullfield, in our example this characteristic is named “KTypes”. Clic save ; synchronization will start automatically. 4/ Check eBay listings : “Compatibility” zone should appear in Description section of you eBay listing. Keep in mind each KType entered in PrestaShop should add one compatibility line on eBay listing.